Great new concept with additional never seen before features and extensions is here. 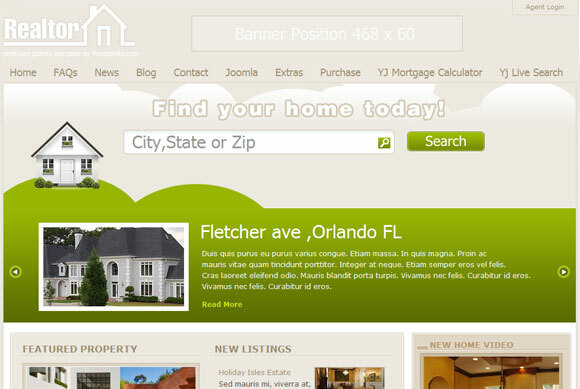 Youjoomla proudly presents RealtorÂ® – Joomla Real Estate Template. With many additional tricks RealtorÂ® is everything you need to start you own Real Estate Website. 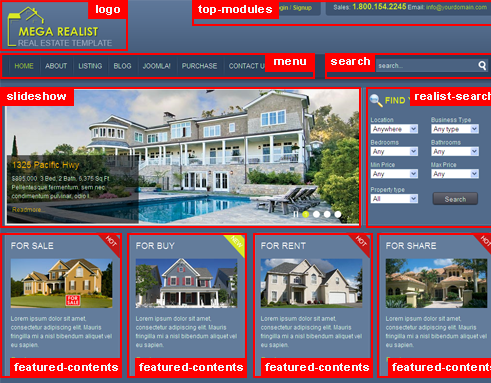 With 2 great new Joomla 1.5 and 1.0 native extensions this RealtorÂ® demo is a website to go . Yj Live Search Module will amaze your customers with easy Ajax search functions that are hard to miss. Yj Mortgage calculator will give your future customers fast information about their possible loan rates. Packed with additional Mootools Tooltips set and Multimedia Box this Joomla Template Demo has everything you need to start attracting new visitors. JV Corner Banner: Display your ad in different position of your viewport. JV Title Flash: Flash your hot news title with fading effect. OmegaTheme Mega Realist was designed by our talented team exclusivly for those looking for the professional solution that will help to set up a powerful online website for the Real Estate field. It is meant to become a place over the Internet attracting web users searching the local and nation-wide real estate and real property or immovable property. 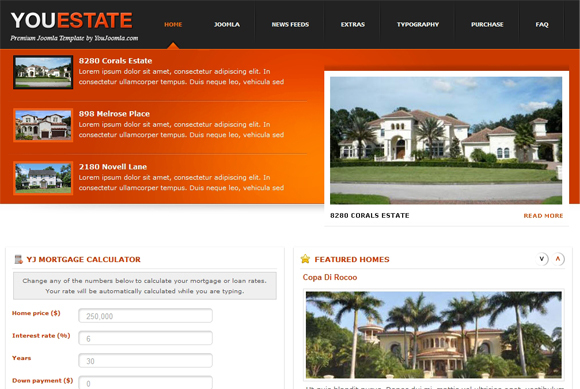 Mega Realist Joomla Template may gather real estate companies, real estate agents, real estate brokers and salespeople all at one place making it a popular web destination. 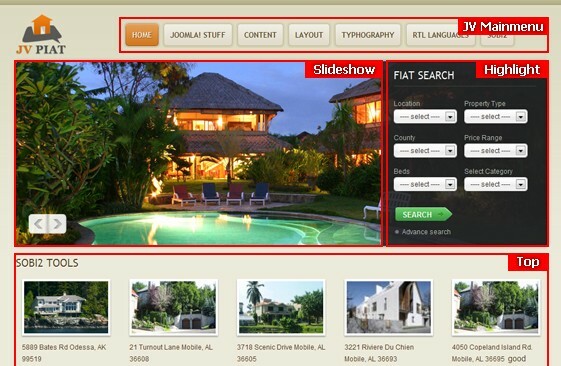 – IF you know any Other real estate themes for joomla then please let us know. 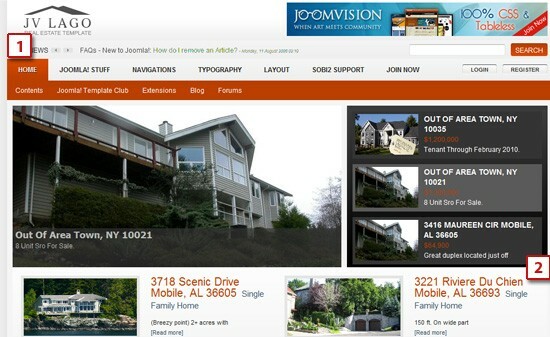 Guys from OrdaSoft team create a lot of Real estate Templates for Joomla.